Just like any other mobile devices, the new #Apple iPhone 7 (#iPhone7) smartphone also has options for you to use, manage, and customize screen or display settings, in which you can set preferences to make the screen appear the way you want. This post will demonstrate the basic methods and steps that will walk you through the entire process of iPhone 7 display customization. Feel free to refer to this guide, whenever you need it. Before you jump into any of these screen management topics, if you have problems with your phone, visit our iPhone 7 troubleshooting page for we have already addressed a lot of issues with this device. Find issues that are similar with yours and use the solutions or troubleshooting guides we suggested. If they don’t work and you need further assistance, contact us by completing our iPhone issues questionnaire. You can add a folder to your iPhone 7 Home screen for storing items that you want to access quickly. For example, you can create a folder to store music/audio files and access them straight from the Home screen like shortcuts. Follow these steps to personalize your iPhone 7 Home and Lock screen wallpaper. 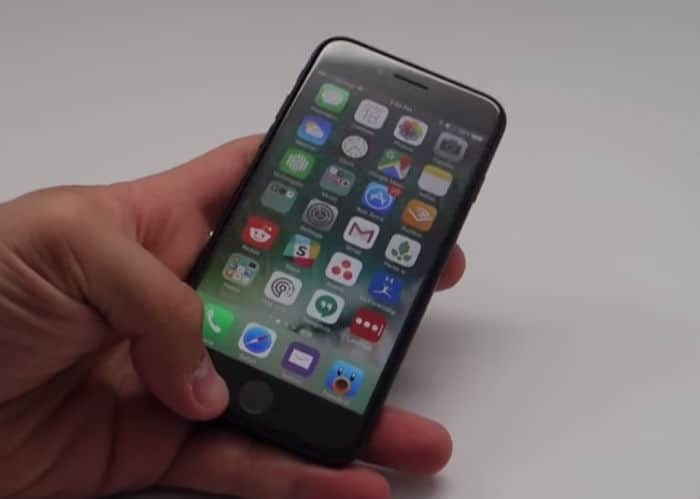 Your iPhone 7 also features separate home screen panels. These panels are used to display apps, shortcuts, widgets, and other items. To view Home screen panels on your new iPhone, just go to the Home screen and then swipe left to navigate the extended Home screen panels. You can also access the Spotlight Search by swiping down or to the right of the screen. Spotlight Search is used to perform quick searches on your device contents like contacts, mail, messages, calendars, and other information. If for some reasons you are not satisfied with the overall output after making changes on your iPhone 7 Home screen, then you can just reset the Home screen layout on your device. There are actually many ways for you to customize your iPhone 7 screen and give your new iPhone a better look. All the methods introduced in this post are just the basics to help you get started.